CEM means Customer Engagement Management, not Customer Experience Management -While CEM more frequently is the acronym for the latter than the former, that’s not really the point. There is no Customer Experience “market” while there is a growing Customer Engagement “market” that could incorporate what Clarabridge does, and unlike the CXM market which is a non-starter, the customer engagement market has enough of an upside that there could come a time it could suborn CRM to it as a market. That big. They need to rethink that now. They scale too. In addition to the 40,000 users at the Hilton chain, they made note that they “touch over a half of a BILLION (caps theirs) people a year” – with 500 million branded surveys to consumers. They have 500,000 users of their ecosystem across the customer base that login to Medallia a year and 8 million page views a month. Meaning they can safely argue scale and big numbers. Not megamega but big numbers. What I saw over and over, with the caveats I’ll outline below, is that this is a well roundedcompany whose potential doesn’t rest with its technology, but with its approach (and its technology). Vision is mission; mission is vision – As those of you reading my stuff know, I’m a huge proponent of a strong mission and vision statement. Medallia has what seem to be both, but they ID them for the reverse of what they are. Their stated mission “create a world in which companies are loved by their customers.” Their stated vision “From a vision perspective, to work at Medallia, we believe that putting insights and actions into the hands of every employee across a business, can truly create customer experience improvements.” Their mission is their vision statement, (see review of EY for their vision to put it into proper perspective) and their vision perspective is their mission statement. I’d fix that. Stop characterizing self as “startup” – Medallia is not a startup. They were founded in 2001. They have an enviable revenue stream and excellent year over year growth. They have an expansive footprint. Calling themselves a startup, which they do, does them little good. They are important enough to want to inspire confidence in their experience as a company, the maturity of their technology to accomplish things that businesses need accomplished. Calling themselves a “startup” doesn’t do that. But there is more to it than that. For those of who don’t know it, Moxie started out as a rollup of multiple companies with the name nGenera until 2010 when it was rebranded as Moxie Software(It seems like so much longer ago than that). Prior to that, the then nGenera was perceived as a “social” company even though they were focused more on talent management in their earliest days, they were perceived as a “social” company (which they never really were per se). 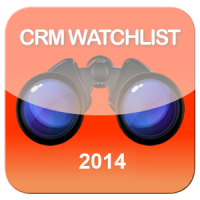 So when they bought CRM vendor Talisma in 2008, I got interested. Here was a social company buying a CRM company and not the other way around. Hmmm. Drop “social enterprise” as a business concept – The time for presenting social enterprise as a business concept is past for multiple reasons. As salesforce.com found when they started using, the charitable organizations who have held the honorific title to the term for a long while now, were angry about it and made it clear that salesforce needed to let it go. They did. Additionally, social business and the social enterprise are so last year, having been superseded by the broader business change – digital transformation – which is where we all should be thinking in 2014. Since I first heard of Thunderhead.com, as an analyst and now as both an analyst and advisor, I saw that this was a company that would be on a fast track. Again, a company, not just a technology. What made this company of 300+ employees fascinating to me was not only did they have what might be one of the best applications/platforms I’ve ever seen but it was solidly rooted in a conceptual framework that some of the smartest thinkers – both business and academic – have devised to derive value-based outcomes. That would be Service Design and Service Dominant Logic. To go through the details here would probably be a bit much, but for reading on the subject of Service Design, check out the Wikipedia entry footnotes and for a myriad of readings on Service Dominant Logic (SDL) check out the works of Steven Vargo and Robert Lusch.proffers the idea of value in use – which pretty much means what it says. As Vargo and Lusch put it “Only the customer can determine value. Value is only created when a customer puts it into use.” That differs with the more commonly employed goods dominant logic which says there is value in exchange. The difference in plain English. GDL says the value is in the purchase of the item. SDL says the value is in the use of the item. Super simplified but the best I can do for now. Service design is the way that you plan and organize an institution and all the components of that institution (infrastructure, staff, processes, communications media, and compensation programs,ad infinitum) to improve the interactions between that institution and its customers/constituents.More on that here. Build out Engage 3.0 – Thunderhead.com has a conceptual framework that they are developing that might be unique. It has both intellectual chops and practical application. It is the core of where both the thought leadership they can provide (and thus get mindshare) and the practical infrastructure and practices can be developed. 2014 is the year they have to do both parts – establish the content (videos, whitepapers, market research, academic efforts e.g. coursework curricula) needed to both understand the framework and at the same time, show their potential customers – and interested parties – what they have to do to implement the pieces necessary for effectively engaging their customers (best practices, tools, techniques). Thunderhead.com is eminently capable of this. They just need to take action. Totango is not an old company – it’s been around just 4 years, starting its life in Tel Aviv in 2010. But it has shown strong growth from the time it was born to now, with a 400% increase in 2013 from the previous year. In fact, just recently (earlier this month), Totango announced a second round of funding totaling $15.5 million from 4 different venture capital sources – Canvas Venture Fund and InterWest Partners led the round, joined by its current Israeli investors Pitango Venture Capital and Gemini Israel Ventures, who drove the 1st round $3.8 million funding.